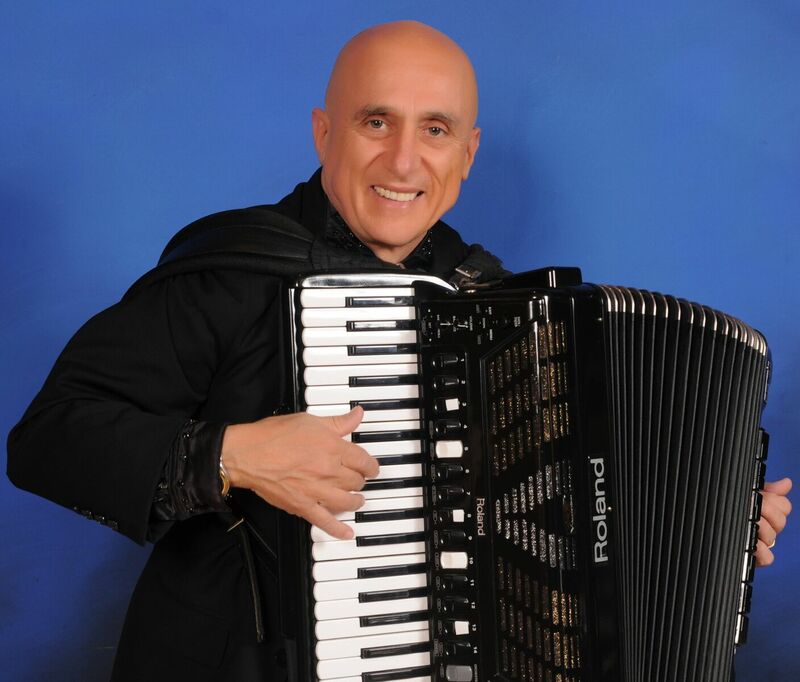 Ross Maio is an acclaimed accordion player whose musical capabilities and joyous performances have taken him all over the world. Born on the beautiful island of Sicily, he immigrated to Australia with his mother in 1954, to reunite with his father who had moved here two years earlier. They were in search of a new life after the war. Maio said that a lot of Italian migrants at that time were going to America, or Australia, or elsewhere in Europe. But Australia was the most alluring option; it was said to be a place “where you could build a life for yourself”. Maio’s father worked in seasonal tasks, cutting sugarcane, tobacco and prawn trawling near Coffs Harbour. By the time his wife and son reached him he was living in Innisfail, Queensland, as a hard-working sugar cane cutter. Maio was interested in music from the get-go. He said that his father was a very talented and passionate “at home musician”, who sang and played the harmonica. His mother too would sing beautiful harmonies, and the pair would dance while little Ross was encouraged to keep time with pots and pans. Playing drums on kitchen instruments was Maio’s first experience of music and it instilled him with a life-long passion. He wanted an accordion but was forced to wait until he was 10 years old, when his relative brought a brand new (and small) accordion over from Italy. Maio started lessons and by the time he’d been playing for one year, he was performing at family picnics. A Greek cafe-owner overheard the sounds of Maio’s magical playing and convinced his father to let him start gigging at 11 years old in the cafe. Maio was happy to oblige as long he “got a table each day and free chips” for himself and his friends! Maio’s parents were constantly supportive throughout his musical journey. They decided to move to Sydney in support of his musical career. Maio studied pianoforte for some time at the Sydney Conservatorium, but ultimately chose to dive straight into music as a career. His life has been rich in performance and travel opportunities. Maio has performed for the Variety Club’s Royal Command Performance at the Sydney Opera House, in the presence of royal guests, Prince and Princess Michael of Kent. In 1995, he was awarded the MO AWARD for Best Variety Instrumentalist (the first solo accordionist to win this award). In 1996, Ross toured Australia and New Zealand supporting the famous Scottish tenor, Kenneth McKellar. He has also played in studio sessions for ABC and SBS, and made numerous television appearances ranging from children’s shows through to Channel 9 midday shows, Mornings with Kerri-Anne and SBS International Cabaret. In July 2008, Maio was asked to feature on accordion with a 65-piece orchestra at Sydney's State Theatre to premier the Godfather Symphony. His career has kept him constantly on the move, captivating audiences not only in the Australian club circuit, but also in leading hotels in Hong Kong, Singapore, The United Arab Emirates, New Caledonia, and Mauritius, as well as on cruise ships worldwide. When asked on his favourite setting to perform in, Maio emphasised that it is the variety which keeps him inspired. Whether performing in an orchestra at the Sydney Opera House or playing in an intimate setting – such as at a Calabrian society event last week (which featured in-house playing of traditional songs and authentic food) – diversity and sharing are for Maio, the spice of life. “I just love meeting people,” Maio said. Throughout his working life Maio has supported himself by teaching music. He began when he was about 23, but he was not enthusiastic. “I thought it was an older person’s job,” he admitted. But after experiencing the joy of teaching both adults and children, he was changed. “It did something to me,” he said. Maio’s style of accordion is not strictly linked to the Sicilian organetto which was used in traditional folk music. That accordion is rather limited in the number of sounds it can produce. Maio’s accordion is capable of playing a huge variety of songs, from traditional, folk, tarantella, to tango, and contemporary music such as Elvis Presley, The Beatles and David Bowie. “I want people to hear a contemporary tune on an accordion,” he said. Ross Maio will speak on his Italian family’s history, and his entertainment achievements and awards at the Italian Forum Cultural Centre, in Leichhardt, on Wednesday, November 28 at 6:45 pm, as part of the CO.AS.IT. Italian Family History Group. He will also be performing some traditional folk tunes from northern Italy. Head to CO.AS.IT.’s website for more info. I want people to hear a contemporary tune on an accordion.